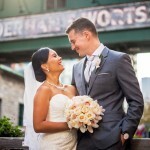 Grace and Christian renewed their wedding vows and were happily renamed man and wife only a few hours past noon, in a ceremony only befitting what they had dreamed for themselves the first time around. With a complete set of bridesmaids junior bridesmaids, groomsmen, flower girls and many more, it is no understatement to say that Grace and Christian have left an impression on many lives throughout the ten years that they’ve been together, and it is no surprise that the many happy faces in and among the crowd were familiars to both, and have known the couple throughout their married life and beyond. The duo sealed their ten year anniversary deal with a sand-blending ceremony, to accent in symbolic form the strength of the loving bond that have joined the two throughout the many years before, and indeed the many years to come. 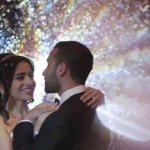 The newly-renewed newlyweds then made their grand entrance to the hall, and beforehand, a special photo and video shoot of the reception setting done by our videographers here at SDE Weddings to highlight the extravagant wedding night affair. Bridal party introductions, speeches and cake-cutting served as further commemoration of Grace and Christian’s anniversary, and us here at SDE Weddings, Toronto’s premier wedding videography group, felt that this was truly one of our most profound wedding-day works to date. With the night’s celebrations closing to old photographs of Grace and Christian’s first wedding ten years ago, and an open ballroom full of lively dancing to end the day, we hope that Grace and Christian finally had the wedding ceremony they’ve always hoped for, and truly wish them a happy ten year anniversary and indeed many more years to come.